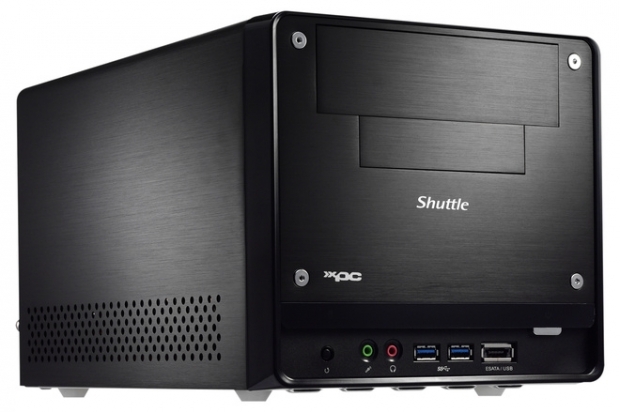 Shuttle, as the Mini-PC pioneer, is set to launch the XPC Barebone SH67H3 and SH67H7 at the end of March 2011. Both are based on the Intel H67 Express chipset and boast extremely impressive technical features to support all Intel Core 2nd generation i3, i5 and i7 processors with LGA1155. There are four DIMM slots that enable DDR3 memory support with a maximum capacity of 16 GB. 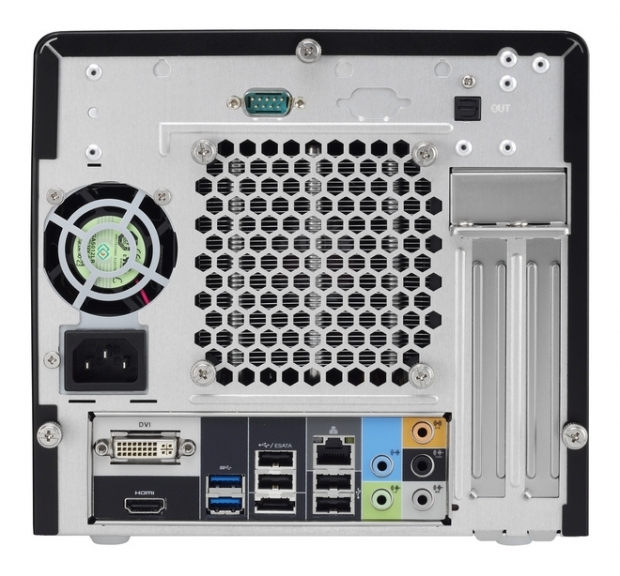 Furthermore, these Mini-PCs are able to accommodate two 3.5" drives and one 5.35" drive with the motherboard offering 2x SATA 6 Gbit/s and 2x SATA 3 Gbit/s. Additional drives can be connected externally via eSATA or via an array of USB ports. On the front and rear of the SH67H3 and SH67H7 models there are for the first time 4x USB 3.0 and 4x USB 2.0 ports as well as 2x eSATA/USB combo ports. A Gigabit-LAN interface is also provided for fast network access and data transfer. Additional graphics performance is provided by the PCI-Express 2.0 x16 port which is compatible with the latest dual-slot graphics cards. If a single-slot graphics card is used, one PCI-Express 2.0 x1 port is then available for expansion cards. The third expansion option is the Mini-PCIe port, which can be used for various applications, e.g. a WLAN module. A 300 W, 80-PLUS-certified power supply unit ensures the compact PC is able to deliver high performance. The overall system is cooled by means of a heatpipe with a large speed-regulated fan. Shuttle's recommended retail price for the Barebone SH67H3 is EUR 239.00. For the XPC Barebone SH67H7 the recommended retail price is set to EUR 251.00 (both prices ex VAT).